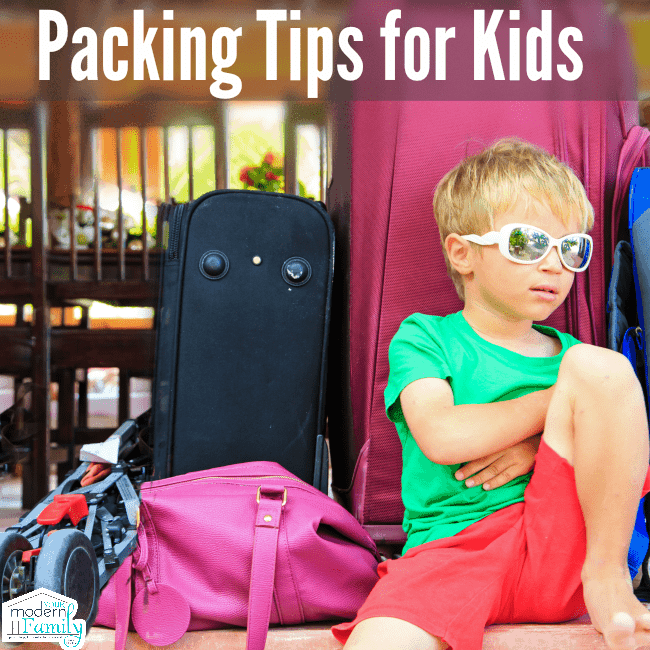 If you are packing for a trip with kids, I have a few easy tips to get your packing moving along quickly and easily. It can be hard, but simple things like having a simple portable car snack hack ready to go before your trip, will help you! When you are deciding to go on a vacation, the thought of planning (and packing) can seem overwhelming. 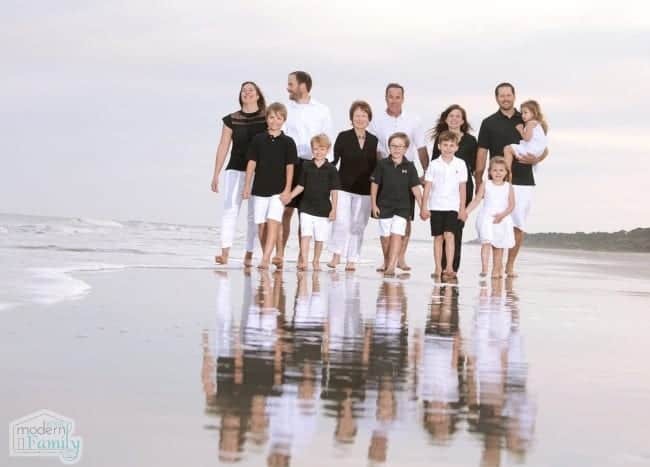 We have four kids… but we usually travel as a group of twelve! 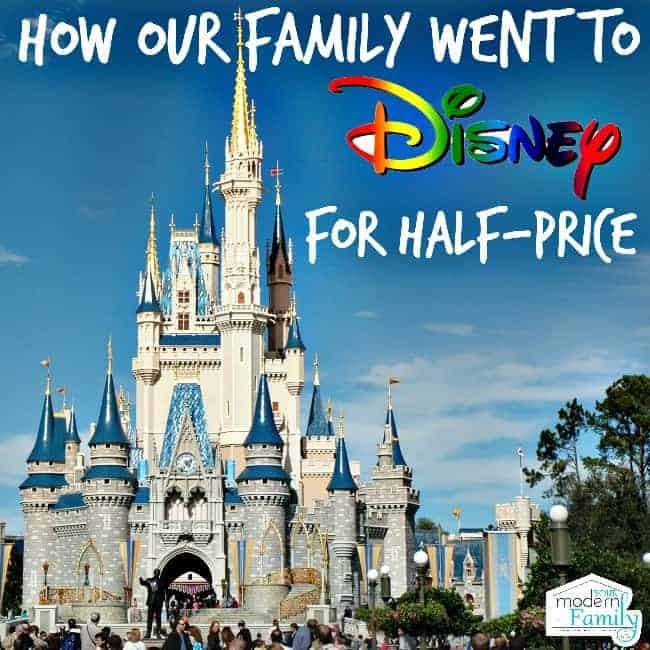 On our last trip, we decided that our family of six would extend our family vacation, so when everyone else left, we decided to stay in a hotel for a few more days. We looked for a hotel with a pool and one that was close to everything. Our kids LOVE pools- it’s just the happiest place for kids to spend hot days. 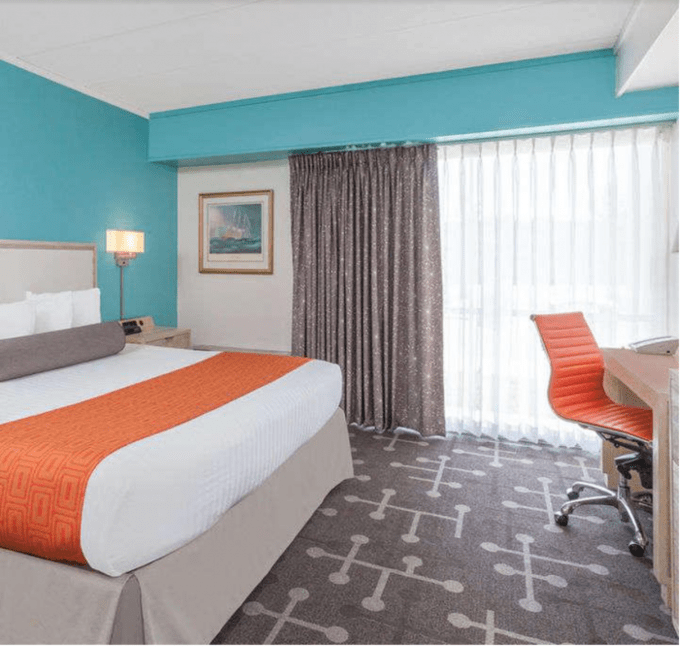 We recently discovered Howard Johnson Hotels because when you can stay for 2+ nights, you save 20% if you book with their Summer Offer. Plus, we always look for places that have free WIFI (needed for work), free breakfast (saves a lot of money for twelve people) and this one fit the bill. 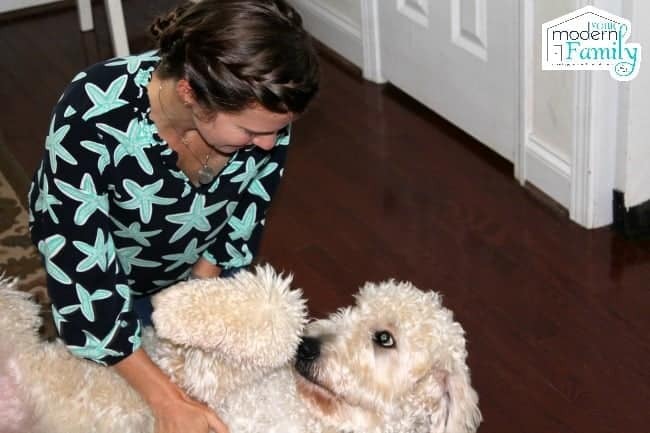 Oh- and it’s pet-friendly, so we can take our dog if we want to (we didn’t for the last trip, but we plan on it in the future). I find it easiest to have a separate list for everyone in your family. When I begin packing, I am crossing off the items that I have packed. 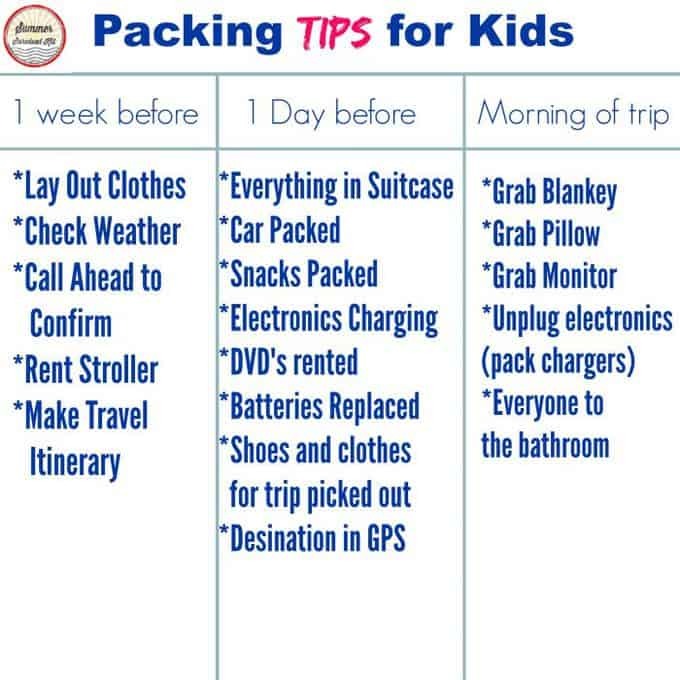 I also high-light or put a star next to the items that will need to be packed last minute (the kid’s favorite blanket or lovey, monitor, snacks). 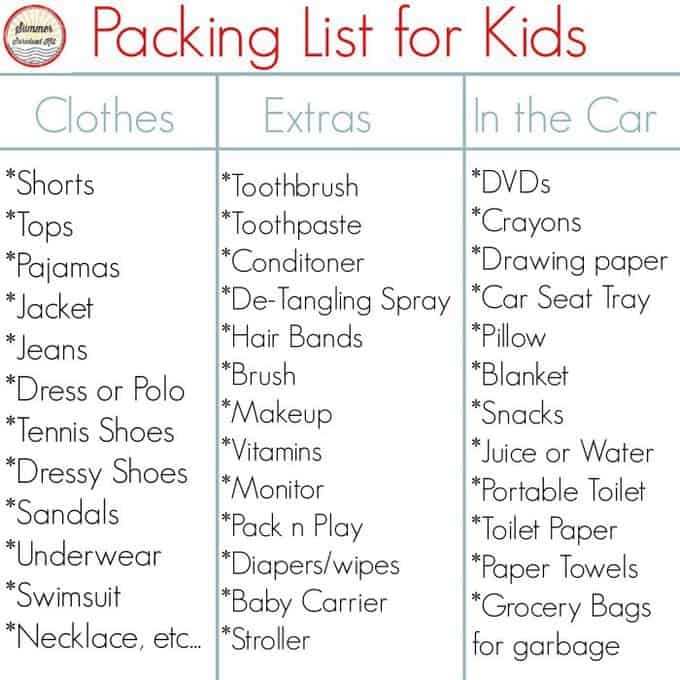 You may also want to have a duplicate copy of this list for this for when you are packing to come home. This will help to ensure that you did not leave anything behind. 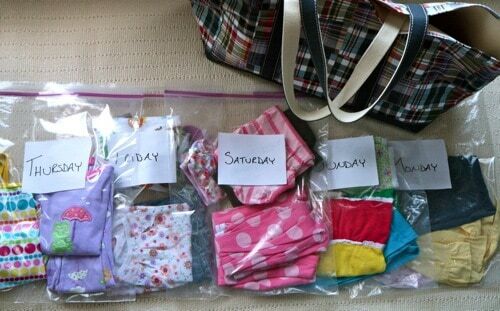 2- Pack your kids clothes by day in plastic zip-lock bags. This tip was shared by Lands End a few years back and I love it – it makes traveling so much easier! Take a zip-lock bag for each outfit. Put everything that you need for that outfit into that zip-lock bag. Example: Shorts, top, socks, underwear, headband, bracelet. You are all set. 3- Let the kids have their own bag of clothes, instead of sharing. This can be tempting, but try to avoid sharing bags if possible- it just makes things a little more confusing if you decide to share. When you have 3 sets of hands in one bag, it makes things disorganized. Our children each have a travel bag with their name on it and their items go into their bag. My husband and I each use our own bag, as well. Remember to let your kids join in! 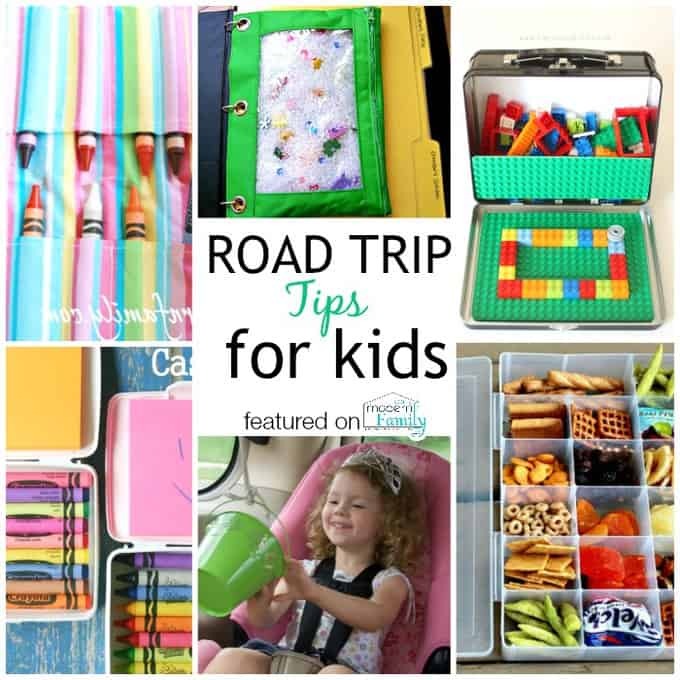 Let the kids help you plan & pack. Get your kids involved in the planning process by letting them look at the website of where you are staying. The kids were excited to hear about the HoJo Legacy, about how Howard Johnson started by making ICE CREAM. :). Who knew?! They loved that little piece of information. From there, we let them in on the over 200 different places that you can find the hotel and we let them help us located the one closest to our vacation spot. Next, we had them help us pack. Being a part of these things will not only teach them responsibility, but will let them get excited for their upcoming trip! I let mine pack a few things… “Grab 3 books, one pair of pajamas and two toys.” This keeps them busy and lets them in on the packing ‘fun’. 5- DO share a toiletries bag, when you can. Since everyone will be getting ready in the bathroom, it does make sense to have all “bathroom things” in one bag. My mom gave us one, as a gift, and it was stocked with everything that we need for trips. 6- Buy it for the trip & toss it when you are done! On occasion, we don’t bring our toiletries bag (if we are going somewhere like a cruise, where there just isn’t room for our big bag. We keep everything in it, so it gets big!) For those times, we just get disposable things. Before our trip, I usually run to the dollar store and buy a 6-pack of cheap toothbrushes (You can get a 6-8 pack for a dollar – they aren’t the best, but they are fine for a week. I really wouldn’t use them at home, but for a trip they work fine). I leave the toothbrushes in their package and just put them right into our suitcase (still in the packaging). When we get to our destination, we each have a new toothbrush to use for the week. At the end of the trip, I just throw them away. Sometimes I pick up cheap shampoo & conditioner, too… All of this makes it easier to travel knowing that at the end of the trip, I can just throw them away. 7- Buy what you can when you get there! Pack just a few diapers (enough for a few days) and some snacks for the road. The rest of the groceries that you need can usually be bought when you get there. My friend Hillary orders from Harris Teeter or Walmart.com online and picks it up on her way into her vacation town. So smart! 8- Clean your house before you leave. After everyone and every thing is in the car and ready to go, I have my husband drive around with the kids for 10 minutes (all packed up) while I stay in the house & clean up. You could also let them play outside or watch a movie while you do your ten minute pick-up. Coming home to a messy house is not a good way to end a vacation! If you can come home to a clean house, you can just take your luggage right up to your laundry room or bedroom and be unpacked and back to ‘normal’ within 30 minutes. Our kids take pictures of where we stay. They take pictures of their beds, the pools, etc… They love to look back on them a week or so after we get home and talk about the trip. Usually they decide that they want to decorate their rooms in the colors of the room where they stayed, too. Lol! I suggest checking out HoJo if you are looking for an affordable, nice, kid-friendly place to stay. Love the idea of the individual bags and the 10 mins to clean up before hitting the road! Hey, there, thanks for sharing this awesome blog and information. Packaging for the trip is really confusing, Every time I miss something like the brush, Toothpaste or something else. Actually, I love you packaging ideas, especially Sunday Monday pack. And the list also. I use to carry different bags for every person, like one for me, one for my child. By the way, I really enjoyed your blog. Amazing packing tips and amazing pictures! I just enjoyed reading your post throughout.Really well explained. My sister will be going on a long drive with her kids and she wants to make sure that everything will be packed. It was explained here that when packing for kids, it’s best to prepare a checklist to not forget anything. Moreover, it’s best to also have children’s travel tray for convenient traveling. Amazing packing tips and amazing pictures! I enjoyed a lot and it’s really well explained. I really appreciate your tip to try and call ahead with your hotel to confirm your reservation. My wife and I have been thinking of going on a vacation with our kids, and we would want to make sure that our hotel is confirmed. I will be sure to call ahead at least a week to confirm our room! Beautiful photos and enjoying video to watch. This is very helpful indeed!